Disney (DIS) stock jumped to a record high Friday after the company unveiled its Disney+ streaming service, which got strong reviews on Wall Street and could pose the most formidable challenge to Netflix (NFLX). Disney+ will launch Nov. 12 in the U.S. and cost $69.99 per year or $6.99 per month, undercutting Netflix’s standard pricing of $13 per month. In the first year, Disney+ will have more than 7,500 episodes, 500 library films, more than 25 new original series and more than 10 original films. It will be ad free, and content will be downloadable for offline viewing as well. By the end of fiscal 2024, Disney expects 60 million-90 million subscribers around the world. Over time, a third of the subscriber base will be from the U.S., with two-thirds outside the U.S.
Total operating expenses will be a little less than $1 billion for fiscal 2020. Operating losses will peak between fiscal 2020-2022, with profitability expected in fiscal 2024. Goldman Sachs reiterated its buy rating on Disney stock, saying Disney+ content is “far more robust” than expected. MoffettNathanson said the new Disney streaming service was worth the wait and applauded the amount of financial metrics management provided as well as the broad slate of new content and catalog titles. CFRA kept its strong buy rating on Disney stock, noting aggressive pricing for Disney+ and an “unparalleled array” of branded TV and film content. Morgan Stanley reiterated an overweight rating on Disney stock as the streaming service exceeded its expectations. Disney stock jumped 11.5% to 130.06, hitting a record high on the stock market today, surging beyond the 5% chase zone from a 115.90 cup-with-handle entry cleared on Tuesday. Disney’s relative strength line, which measures price performance vs. the S&P 500, spiked Friday to the highest level since July 2017. Netflix stock fell 4.5% to 351.14, tumbling below its 50-day line. The streaming video market looks increasingly crowded with consumers battling subscription-fee fatigue. Besides Netflix and Amazon (AMZN), Disney confronts new competition like Apple (AAPL) and even Costco (COST). During an event Thursday at its Burbank, Calif., headquarters, the media and entertainment giant said Disney streaming services are being built to handle 10 million viewers concurrently and will likely have Disney+, ESPN+ and Hulu bundled. CEO Bob Iger, who plans to step down in 2021, said Disney+ will be a pure movie and TV service, without video games. Disney+ will also be available on game consoles and smart TVs, and deals are already in place with RokuTV and PlayStation 4. Content will be available for viewing in 4K and HDR. 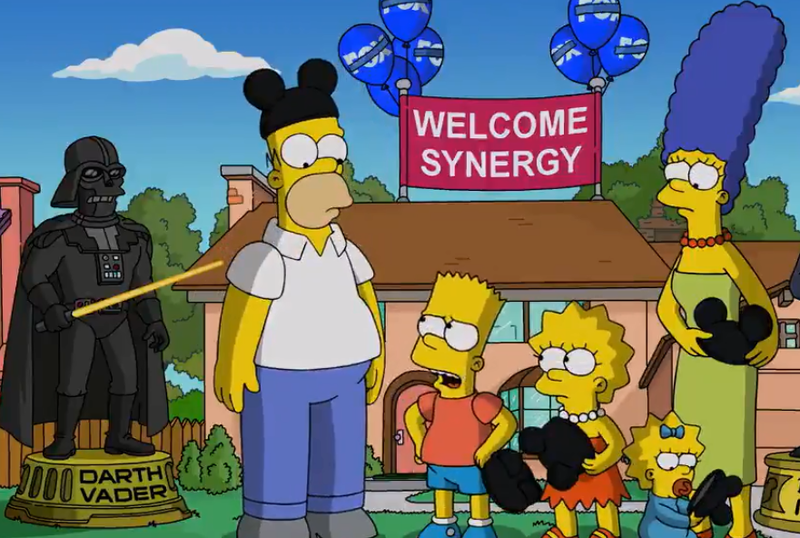 “The Simpsons” will make Disney+ the exclusive home for streaming, starting at launch. “The Mandalorian,” the first-live action Star Wars series, will be available on Disney+ at launch too as well as a documentary series detailing the people working behind the scenes on Star Wars. Disney also said streaming services will launch in every major global market over time and announced India’s Hotstar will be will be the fourth arm of Disney streaming services alongside Disney+, ESPN+ and Hulu. Disney Asia Pacific President Uday Shankar said Hotstar has 300 million active monthly users and 73 channels. It was acquired via Disney’s takeover of Fox’s entertainment assets. Disney Takes Aim At Netflix, But Will It Hit Apple?